There are many things you can do with an FHA mortgage, and just as many ways to use FHA refinance loans; buying a home with more than one living unit, refinancing an existing loan to do rehab work, and including energy-efficient upgrades into your new mortgage. February 15, 2018 - There are many things you can do with an FHA mortgage, and just as many ways to use FHA refinance loans; buying a home with more than one living unit, refinancing an existing loan to do rehab work, and including energy-efficient upgrades into your new mortgage. FHA home loans are not specifically created for a single type of buyer or a “demographic” of buyers based on whether or not they owned property before. That said, first time home buyers will appreciate FHA loan down payment requirements (lower than many conventional loans) and more lenient FHA credit requirements compared to conventional mortgages or other types of non-FHA loans. The FHA home loan program isn't strictly for first homes, but that the participating lender may offer you some kind of first-time buyer incentive. This is dependent on the lender, and there may also be state/local assistance program for first time buyers to take advantage of. The FHA itself offers no first-time home buyer incentive. It is definitely possible for an FHA loan applicant to own property and apply for a new FHA home loan to purchase a home. However, borrowers should keep in mind that FHA loan rules state any home purchased with an FHA mortgage must be a primary residence and not a vacation home, timeshare, bed-and-breakfast, or other "occasional occupancy" type property. At least one borrower obligated on the mortgage loan is required to use the home to be purchased with the FHA loan as the primary residence as a condition of loan approval. FHA loan rules permit the purchase of residences with as many as four living units, giving the borrower the option to rent out the unoccupied units. The FHA loan occupancy requirement applies in such transactions the same as for single-unit property. There are many who want to refinance an existing mortgage-using an FHA loan gives you several options including the FHA 203(k) rehab loan, which can refinance the mortgage and help pay for upgrades and repairs. 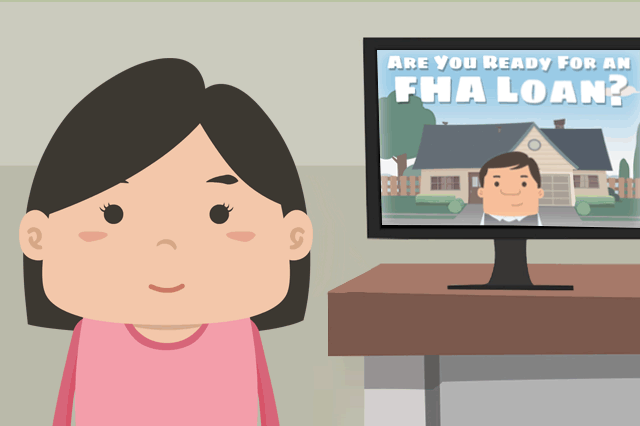 FHA 203(k) rehab loans can be approved with an FHA Energy Efficient Mortgage option to add more funds to the loan for approved energy-efficient upgrades or improvements. If your current home loan is an FHA mortgage, there is an option to refinance in order to to get lower monthly payments and/or interest rates. This is done using an FHA Streamline Refinance. Streamline loans have no FHA-required credit check or FHA requirement for a new appraisal. It will be up to your lender to determine whether these are needed for your transaction. FHA Streamline refinance loans usually must, according to the rules of the loan, offer a tangible benefit to the borrower. This can be in the form of a lower interest rate, lower payments, or refinancing out of an Adjustable Rate Mortgage into a fixed rate loan.